665 must charge sales tax on all merchandise purchased in the State of California.Your tax rate will be determined by your shipping country and city by zip code shipping address. When placing your order on-line through our secure server you will need to enter the Card ID/CVV2 on the payment screen. The Card ID/CVV2 is used to verify that you have possession of the credit card you are attempting to use. The Card ID/CVV2 is a 3-digit security code that is printed on the back of your Visa, MasterCard or Discover Card. The number appears on the signature strip after the last four digits of your account number. The signature strip may contain your entire account number or just the last four digits of your account number. Either way, the Card ID will appear after the last four digits of your account number. 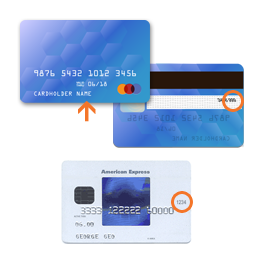 American Express, the Card ID/CVV2 is a 4 digit, non-embossed number printed above your account number on the face of your card. Whether it's a gift idea or a special surprise, a 665 Gift Card is a perfect choice for anyone you care about. Gift cards can be redeemed immediately. You don't have top spend your entire gift card in one shopping spree, our secure system will keep track of it until you have a zero balance. As an International customer, you are responsible for paying any duties, customs or tariffs on the products when the product arrives in your country.